Pitching. Pitching. Pitching. It was all you heard from New York Yankees fans all winter. The Yankees heard the cries and addressed their most glaring need. This winter the Yankees bolstered their starting rotation by retaining JA Happ and trading top pitching prospect Justus Sheffield for Mariner ace James Paxton. 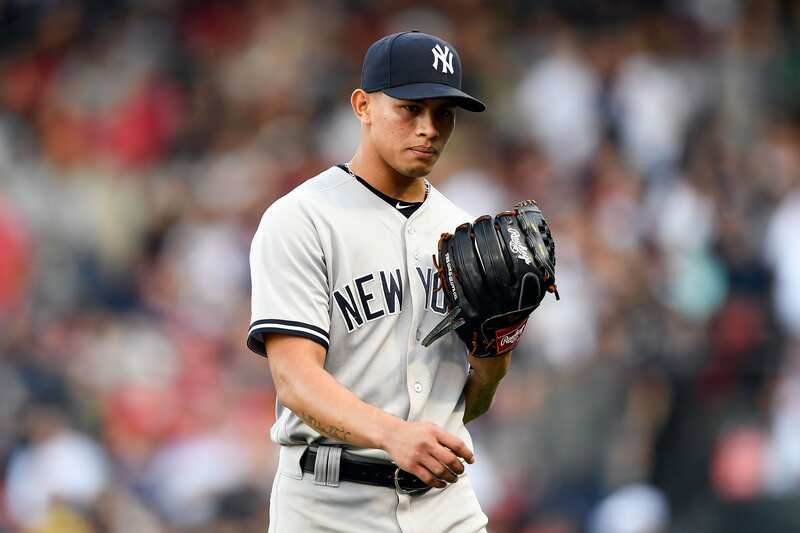 While most fans were stunned by the latter move, assuming Sheffield would be vying for a rotation spot, it seems the Yankees had other plans. Do the Yankees know something we don’t about Sheffield we don’t? Or do they have a “King” in the hole? There is no doubt the Yankees farm system is still stacked with young arms. We have seen Loaisiga, Adams, German and Cessa come up and showcase their talents. Interestingly enough it might not be any of them who gets the call when the need arises. While not a household name like the rest keep an eye out for Mike King. Acquired from the Marlins along with International bonus pool money for two lower level prospects King has flown under the radar climbing the minor league ladder rather efficiently. King has improved at every level with ease while polishing his secondary pitches. He features a heavy sinking 2-seamer while working to improve his slider and changeup. His hard work and development have opened eyes and have many within the organization gushing over his steady climb through the ranks. King began the 2018 season with the Tampa Tarpons where he appeared in 7 games, went 1-3 but had a 1.79 ERA. For the AA Trenton Thunder, his record was 6-2 in 12 games and threw to a 2.09 ERA. He then rose to the AAA Scranton Wilkes-Barre team where he saw action in 6 games, going an impressive 4-0 and a miniscule 1.15 ERA. It’s definitely not out of the realm of possibility that this young pitcher could see action in 2019 for the major league team. Could the Yankees have had tunnel vision of King hence the trade of Sheffield? Only time will tell.